We recently went out to San Francisco to take a look at HP's winter product refresh and meet with their representatives, and there were a couple of interesting new pieces of technology along with some healthy refreshes on display. We'll start at the bottom and work our way up to their new ultrabook, dubbed Folio. As far as 3D displays go, HP is throwing their hat into the ring with the new 2311gt 3D monitor, a 23-inch LED-backlit display that uses passive 3D technology rather than active and employs TriDef's Ignition to handle 3D for gaming. MSRP is $299 and it's available now. They're also updating their TouchSmart 610 (recently reviewed here) with the new 620 3D Edition; TriDef is again employed for 3D gaming, but unfortunately HP's TouchSmart software still remains very much 2D. For consumers, the ENVY 15, ENVY 17, and ENVY 17 3D are all seeing updates. The ENVY 15 is now available with a Radiance IPS display, but ENVY 17 fans unfortunately get the short end of the stick there as the Raidance display used there is still a TN panel. When I asked HP's representatives, they pointed to a difficulty in sourcing good notebook displays, a problem I'm sure we can all relate to. The review units were all using the next generation of AMD Radeon HD mobile graphics but unfortunately I don't have any more details than that. 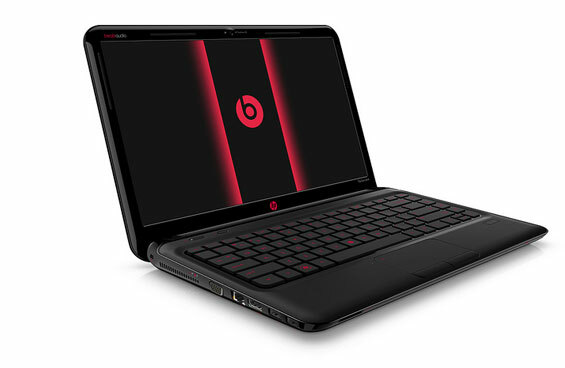 Finally, HP is again employing Beats Audio in their ENVY lineup, even adding a small red trim around the interior of the keyboard and an analog volume dial in the top right corner; pressing in the top of the dial opens up the Beats Audio Manager. 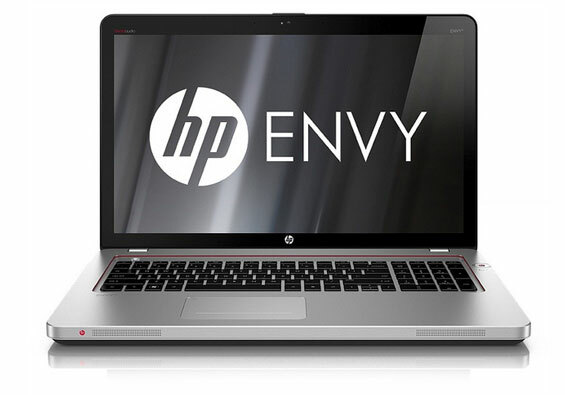 The ENVY 15 is starting at $1,099, ENVY 17 at $1,249, and the active 3D enabled ENVY 17 3D at $1,599. All ENVY notebooks are expected to be available on December 7th. HP's Pavilion dm4 line is also being updated, but the update there is a milder one. Beats Audio and subwoofers are being included in both the regular dm4 and the dm4 Beats Edition, which comes in a sleek new black chassis with red accents and a slick-looking red-backlit keyboard. The dm4 series will also be upgraded to optional AMD Radeon HD 7470M graphics. The regular dm4 will have a starting price of $699; the Beats Edition at $899. Both are expected to be available on December 18th. Finally, the papa bear of the notebooks on display is HP's first ultrabook, the new Folio 13. At 18mm thin and 3.3 pounds, it's actually a little heftier than Toshiba's Portege Z830, but HP elected to include as much connectivity and battery capacity as possible. As a result you have a 13.3" ultrabook with full-size ethernet, USB 3.0, and a 128GB SSD standard, and HP claims the battery life can be up to nine hours. It also comes equipped with Intel Core i3 or i5 processors; in our experience the i5 is going to be worth the upgrade. 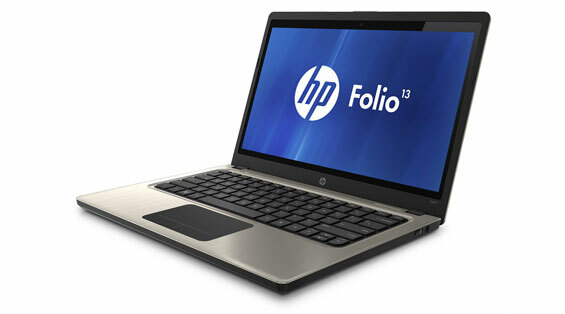 The Folio 13 is expected to be available on December 7th starting at $899. I'm pleasantly surprised HP decided to refresh the 15 and 17, but more importantly, they had me at "1080p IPS Radiance." The Radiance on my 14 was impressive, but IMO there was bit too much hype about the display; when I first unboxed the otherwise beautiful 14, I thought that the screen's viewing angles were average (especially vertical). The color reproduction/saturation were above average, to be sure, but I got more of the impression that the glossiness of the screen had more do with that than the actual "supposedly" higher quality panel. Toshiba's ultrabook also comes with full-size ethernet, USB 3.0, and 128GB SSD standard (as well as full-size HDMI and VGA). It only weighs 2.5lb and also starts at $899. However, its LCD panel isn't very good. If HP has a higher resolution panel with good contrast then they could potentially have a winner here.